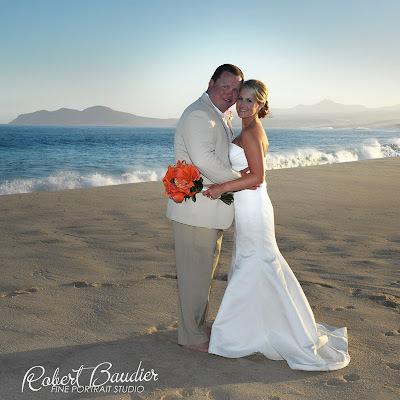 WEDDING LOCATION: Casa del Mar resort, Cabo San Lucas. 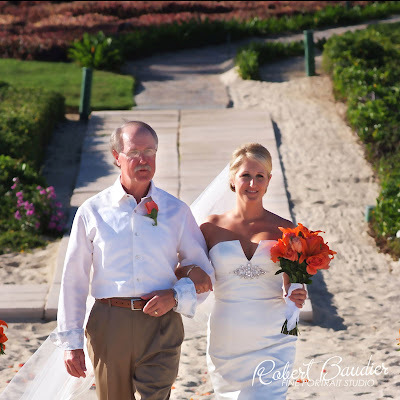 The walkway at Casa del Mar is so long & beautiful, affording all wedding guests a great view of the beautiful bride as she walks down the aisle (below, Molly is escorted by her dad). Molly decorated her ceremony chairs with beautiful orange sashes & orange starfish. 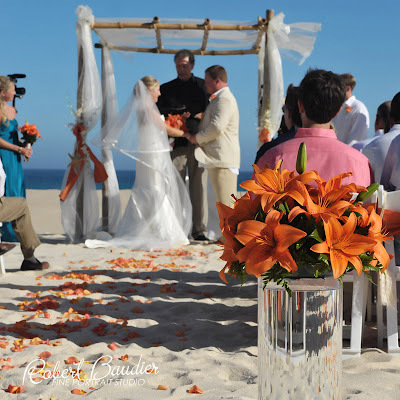 With the orange petals & the vases filled with orange lilies decorating the aisleway, this ceremony was gorgeous! 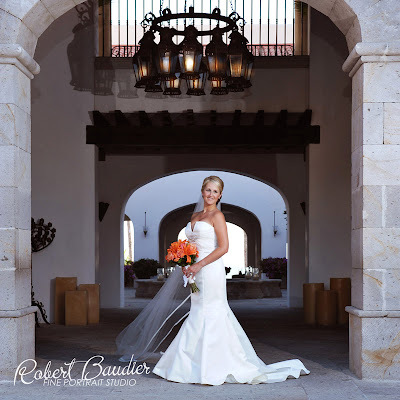 One of the great things about having a destination wedding at a gorgeous resort is that the architecture lends itself to such beautiful wedding photos. 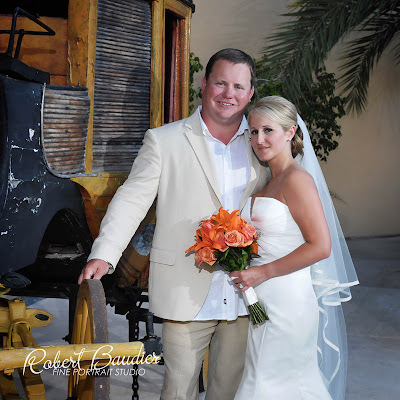 Casa del Mar is well-known for having really beautiful gardens and fabulous Old Mexican buildings. These are NOT photos you can get in the USA. Sometimes something as simple as colored glassware and cute photos from the bride & groom’s elementary school days are all you need to set a classy and cute table. 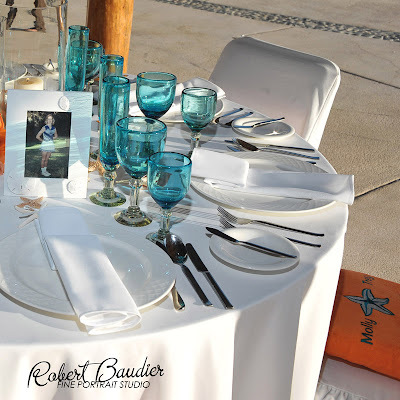 Molly’s colors were turquoise and orange, so the turquoise glassware was perfect. (This is an affordable and easy rental item that you can rent in Cabo.) 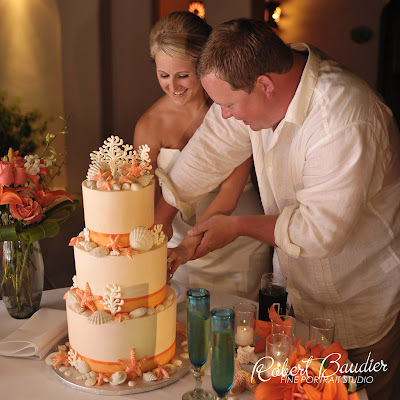 We also decorated the tables with orange starfish & white shells…lovely! This beach club (private, right on the beach, with a pool) is such an ideal location for a reception. It is often difficult to find a truly private location at a resort…but not here. And the palapa is true Cabo! We lined the long walkway to the beach club with luminaries. 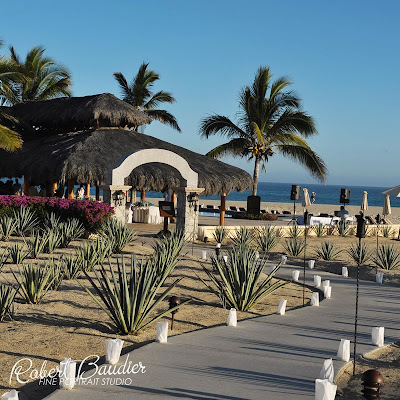 When these are all lit up at night, it is a fantastic exit for both the bride & groom and all of the guests when the festivities are over. 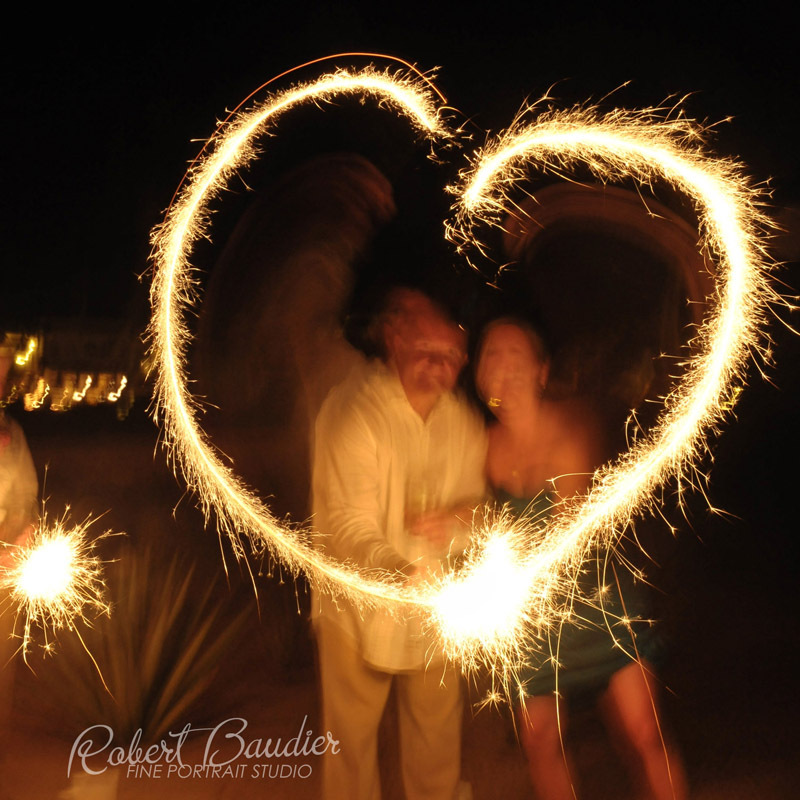 Photos courtesy of Robert Baudier at http://www.robertbaudier.com/. Beautiful!